Since the dawn of time, Man has been a hunter, but until very recently, Woman stayed home and cleaned the fish and sewed quilts; a societal norm we do not see much anymore. Today, in most every area of our society, women are de jure, if not de facto, equal to men in every way. But equality in the hunting sports has not been attained. 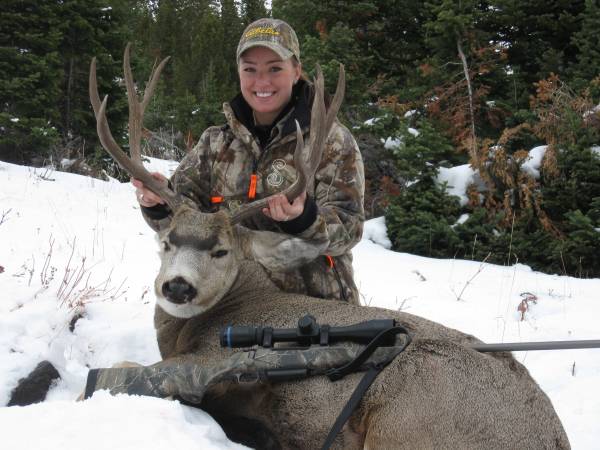 Hunting is an activity that has historically been dominated by men, but the trend is changing, which is a good thing. One of the results of societal changes over the past five decades has been the liberation of women. I don’t mean liberated like the bra burners of the 60’s and 70’s, but liberated in that most women are no longer burdened with a pre-conceived notions of what they can, or more importantly, what they cannot do. Most women have been raised to believe they can participate in activities that have been, until recently, reserved almost exclusively for men, and one of those activities is hunting. The U.S. Senate confirmed David Bernhardt to serve as Secretary of the Interior on a bipartisan vote of 56 - 41. The Congressional Sportsmen’s Foundation (CSF) has strongly supported this confirmation process from the beginning, emphasizing to Senate leadership that Bernhardt has demonstrated his dedication to the sportsmen’s community. What if I offered three days of marvelous driven pheasant and duck shooting, December 3rd-7th, or 8th-12th, 300 birds per day, for ten (10) shooters? The package is limited - no fewer than ten shooters, no additional shooters. I offer great meals, great lodging. The package is all inclusive, except for extra birds taken and extra shells shot - for less than $4K. How many are willing to write a non-refundable check for $1,500 to hold a spot? Been holding out for a good deal on a discounted trophy Cape buffalo hunt? Look no further. Discount African Hunts has an 8-full hunting day/9-night/all meals & accommodations hunt…all in for $8,900. This top outfitter in South Africa has a 14,000-acre concession that is convenient to Johannesburg. A group of a dozen anglers from Oklahoma and Texas are currently enjoying their annual journey to visit one of Billy Chapman Jrs’ Anglers Inn International Mexico lakes. This year they are fishing the relatively new Lake Picachos, just east of Mazatlan. It’s a new lake for these anglers, having spent summers past at the Anglers Inn lodge at Lake El Salto. The deer of Anticosti Island are the most northeastern white-tail deer of North America. Their field dressed weight is on average between 140 and 160 pounds. A standard buck’ antler would consist of 8 points with an antler width of between 16 and 18 inches. Link’s Wild Safaris harvests many deer that exceed the islands averages every year. Each hunter is allowed two deer - buck or doe. Anticosti island sits astride the St. Lawrence River in the gulf of St. Lawrence, in Quebec Canada. 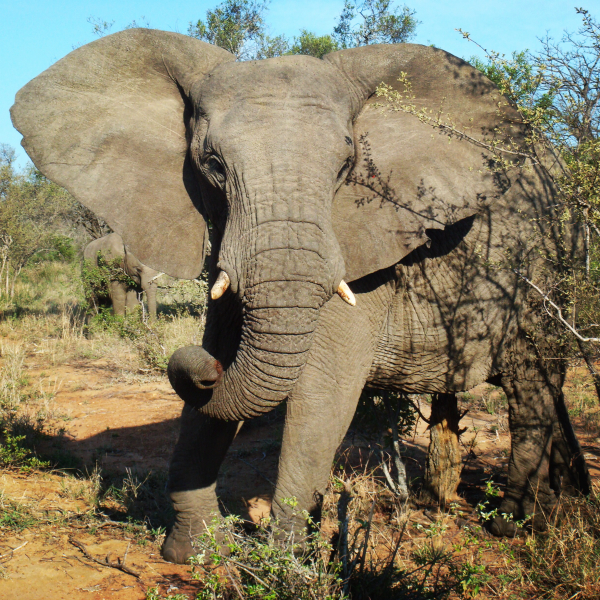 In South Africa’s Eastern Cape, Huntershill Safaris offers a unique hunting experience. This large game farm of 55,000 acres offers trophy hunting, bow hunting, fishing and wing shooting.Huntershill is owner managed and run. Their hands-on approach means that there is always one of the owners on site to welcome guests and ensure that every stay is enjoyable and that high standards are maintained. Denver Outfitters’ Rod Vaults are the #1 selling fly rod carrier in the world creating more time to enjoy fishing and less time rigging. Built from the highest quality aircraft grade Aluminum tubes with a non-abrasive plastic liner and an extremely tough reinforced nylon housing, The Rod Vault Classic ensures both security and superior protection for fly fishing rods and reels on all fishing trips be it on the long highway or simply jumps between favorite waters. Though Africa gets the lion’s share of the publicity, there are more hunting opportunities in Europe and Asia today than ever before. The quality of the animals taken proves hunting and conservation are working together in that part of the world. Since 1996, Shikar Safaris has been outfitting hunters throughout Eurasia with such an incredible variety of venues and species available, it is almost too much to comprehend. Some of Manitoba’s most remote country is only accessible by float plane with very little pressure on the bears when it comes to hunting. Outdoor Solutions offers the ideal black bear and north-country fishing cast-and-blast in southeast Manitoba. Enjoy the solitude and soak up the scenery while on the water fishing for Northern pike or in a tree stand looking for that trophy bear. The U.S. Fish and Wildlife Service’s Boating Infrastructure Grant (BIG) program continues its substantial contributions to recreational boaters and local communities and their economies through this year’s award of $20.6 million in grants to states and U.S. territories. By providing funding to support dedicated boat tie-up facilities and associated amenities, the BIG program helps Americans enjoy the nation’s waters and our cherished wildlife and natural and cultural resources. The U.S. Fish and Wildlife Service (USFWS) announced that $1 billion will be apportioned across all 50 states and U.S. territories on April 1. These funds are generated through excise taxes on hunting, fishing, and recreational shooting equipment, and motorboat fuel – a pillar of the American System of Conservation Funding. Was I Wrong About Hunting? A friend of mine died quite unexpectedly. He left a wife and five children. He was respected professionally and an innovator in his field. He staunchly fought for the preservation of wildlife with both coin and deed. He was a good man who will be missed by many. And yet my friend’s death was celebrated by thousands who did not know him. Why? Because he was a hunter.